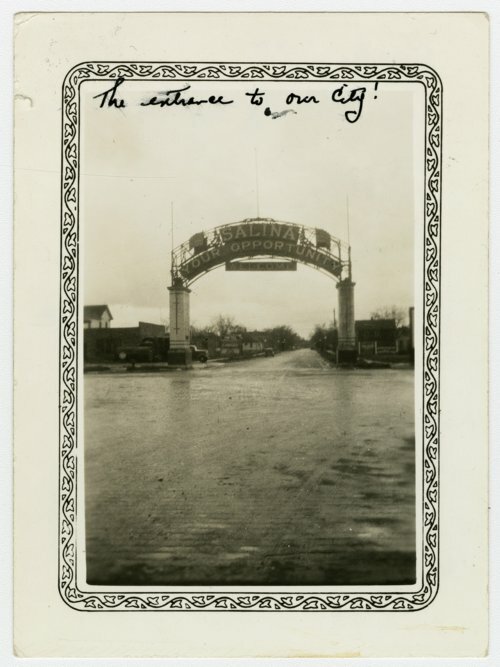 This is a photograph showing rain-covered streets and an arch at the Union Pacific depot in Salina, Kansas. The lighted sign on the arch reads "Salina: Your Opportunity," and welcomed railroad passengers to Salina. It was located at Bishop and 12th Street.